Is this child not absolutely adorable??!! I love this moment we captured as well. Ian isn't quite solid enough to sit well on his own yet so we had to get a bit creative for these pictures. We had a boppy pillow hidden under his quilt and also there was someone (his mom or my sister) right by him just out of frame to make sure he was safe. Another cute one of the little guy. And I love his sweater. This is a great example of what I mean when I talk about "texture" that looks good in pictures. And here is Lincoln. The chair belongs to the family. They brought it along and I was super happy. I don't have many props yet so it was welcome. I love it when people get involved with their portraits. It makes the photography so much more unique. I also love the lighting in this picture and his pose. I feel like this photography sums up what it's like to be a kid and carefree. Another awesome photograph of a great moment. I took the two older kids a little way down into the woods to explore and we found this tree. It made for some fun pictures. Ashlee Lauren Photography is a family and baby photographer providing on location modern & contemporary portrait photography in Fort Wayne, INDIANA and surrounding Allen county. Sessions start at $50. 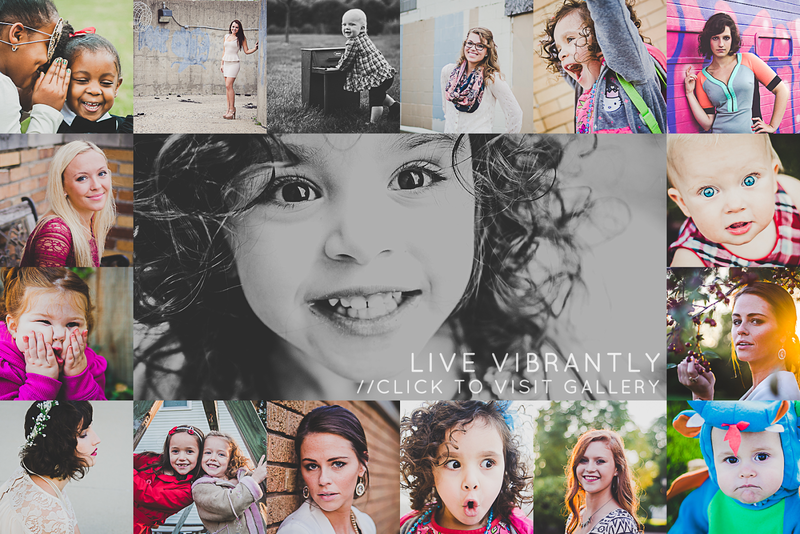 To book your own photography session, email me at ashlee@alaurenphoto.com or give me a ring: 260.418.1110. Please be sure to leave a voicemail if I'm not able to get to the phone. I will only return a missed call when there is a voicemail. Thanks for your interest - hope to have a photography session with you soon!